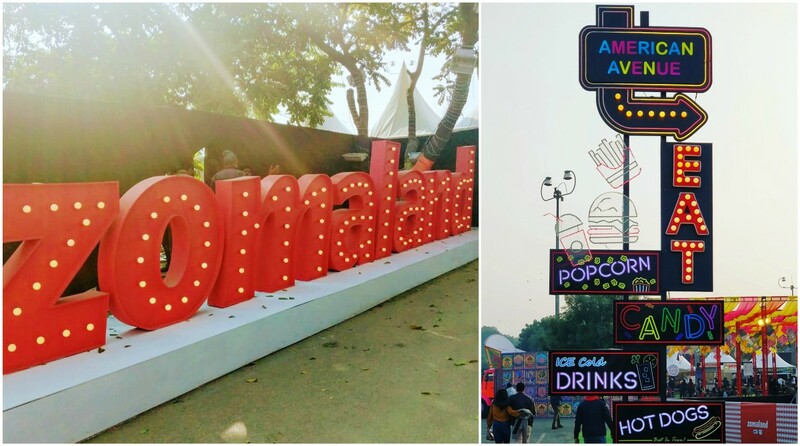 The first edition of Zomaland brought a scrumptious funfair to Delhi last weekend. The first edition of Zomaland brought a scrumptious funfair to Delhi last weekend. Organised by Zomato, the three days of entertainment concluded on a high note on 20 January. The food fest catered to every palate, with each zone leaving visitors spoilt for choice. Besides food, the Carnival City too drew a lot of crowd, comprising every age group. Zomaland also offered a special zone for children. The food and entertainment carnival brought together some of the top chefs and eateries from across Delhi-NCR with a line-up of music performances by Lucky Ali, Rohan Joshi, Outlandish, Varun Thakur, Ritviz, When Chai Met Toast, to name a few. Visitors relished food from Delhi’s favourite eateries under one roof designed in seven curated zones- Flavours of India, Oriental Trail, American Avenue, European Eateries, Mexican Mania and Dessert District and a Healthy Hub. “Zomaland was one of its kind experience and we were glad to be a part of it. The grand carnival gave us a huge platform to reach out to a large number of food lovers in the city. We launched our meal box at the event which received an overwhelming response, and we look forward to such exciting events by Zomato” commented Jitin Mittal, founder, Orient Heritage. The grand extravaganza will now move to Pune (8-10 February) and Bangalore (1-3 March) and the tickets will be available soon. Users will be able to pre-register for the carnival on the Zomato app.